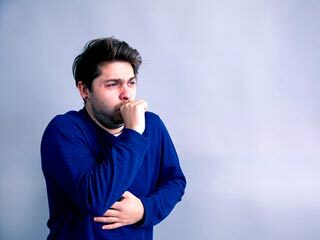 Rifabutin is an effective drug, but WHO does not include it on the list of drugs for treating tuberculosis as it is impractically expensive for most developing countries. Linezolid (LZD) and R207910 are also not listed because their effectiveness to treat TB has not been proven. Linezolid (LZD) - a study has shown that Linezolid is a valid alternative drug in the treatment of multidrug-resistant tuberculosis. The prolonged use of Linezolid may cause anaemia, peripheral neuropathy, rash and diarrhoea. Thioacetazone- is used in anti-tuberculosis chemotherapy to inhibit the emergence of resistance to isoniazid, particularly in the long-term regimens. Gastrointestinal tract absorbs it well. Dosage prescribed for adults is 150 mg thioacetazone and 300 mg isoniazid daily and dosage prescribed for children is 50 mg thioacetazone + 100 mg isoniazid daily. Thioacetazone may cause nausea, vomiting, diarrhoea and skin rashes. Cases of thrombocytopenia and aplastic anaemia are also recorded. Thioridazine- a study to know the effectiveness of Thioridazine treatment was carried out. It was concluded that Thioridazine treatment has caused significant reduction in colony forming units of the suspected TB and multidrug-resistant tuberculosis bacilli in the lung. When it is combined with a treatment containing rifampicin, isoniazid and pyrazinamide for susceptible tuberculosis, a significant synergistic effect was achieved. Therefore, Thioridazine may be an effective compound for treating the susceptible tuberculosis and multidrug-resistant tuberculosis ((MDR-TB). Vitamin D - Vitamin D enhances the response of the immune system to tuberculosis infection. Immune system depends on vitamin D to build a response against the bacterium, Mycobacterium tuberculosis. Arginine- Arginine is an amino acid that is a true nutrient champion. It has shown to be beneficial as a pharmacological agent in the treatment of human immunodeficiency virus-negative patients with active tuberculosis, most likely quoted by increased production of nitric oxide. Arginine treatment has shown no improvement in HIV-positive TB patients whereas significant improvement has been seen in HIV-negative patients. Before adhering to third line drugs for tuberculosis, it is advisable to consult an experienced clinician. Read more articles on Tuberculosis Treatment.